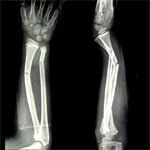 Why to choose Paediatric Orthopaedic surgeon? As a result of number of ailments like genetic predisposition, trauma, infection, neurological impairment, metabolic disturbance, and tumours; children may develop musculoskeletal problems. In children, their potential to respond to any disease and the treatment is different from adults. 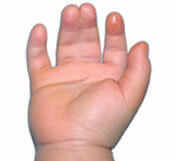 Childhood injuries or diseases may severely affect the overall growth in the future. That is why timely diagnosis and treatment is highly essential for kids. And with the medical advances made with time, every parent hopes to get their children diagnosed by trained experts and hi-tech equipment. At Shalby hospital, you get best of both the worlds.